darkSpyro - Spyro and Skylanders Forum - Skylanders: SuperChargers - Pandergast element? darkSpyro - Spyro and Skylanders Forum > Skylanders: SuperChargers > Pandergast element? 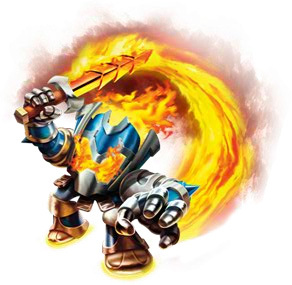 I was reading on the skylanders wiki that the two instant vehicles in superchargers racing have an element that the symbol is pandergast's hat.So does pandergast have his own element?If so,then would we have 12 elements then? I believe the reason why the hat shows up instead of regular elements is because the two vehicles are owned by Pandergast, not the Skylanders; he loans them out to Portal Masters without a Sea or Land Vehicle. Because of that, I doubt that they would have an element linked to them. Yeah, I think they're technically no Element. I mean, they don't get Supercharged by and belong to anyone and they don't have any powers. It's not like everything in Skylands has to have an Element. I have the 3DS version, so I can confirm that it is not an element, but rather rent-able vehicles you can use if you don't have a vehicle of that terrain. There is none for sky because, you know, every starter pack comes with either Clown Cruiser or Dark Clown Cruiser. It's just a rented vehicle. Pandergast is confirmed to be in the Dark element, his vehicles DON'T have elements. They're just normal vehicles. Where did that even get confirmed and how is he even dark. Super late reply but his Skystone is Dark, but keep in mind most Skystones have straight up nonsensical elements so it's not confirmed. The hat icon only appears for Racing. I remember somewhere saying (Story Scroll?) thaf every living being in Skylands had a Element. Maybe non-living things can have Elements depending on the case, like Vehicles. Battlecast confirmed there's Non-Elemental, so some stuff just doesn't have enough.